University of Illinois student Nicky Piunti on campus on May 8. Piunti is taking a new drug, Spinraza, that benefits some patients with SMA. The Illinois legislature is sending a bill to Governor Bruce Rauner that requires the state to screen newborns for a genetic neurological muscle disease because there is a promising new drug to treat the condition. But even if the governor signs the bill, testing for newborns may not start until 2020. The disease, which is known as spinal muscular atrophy, is a sometimes fatal, progressive neuromuscular disease that causes the wasting away or atrophying of muscles over time. Patients suffering from SMA can lose the ability to walk, eat and breathe. SMA can be treated with the drug Spinraza, but for Spinraza to be most effective, early detection of SMA is crucial. Four states have already passed laws to add SMA to its newborn screening list, and numerous other states are in the process of installing a pilot screening program, said Megan Lenz, a spokeswoman from Cure SMA, an advocacy group that is pushing for early detection nationally. The state of Missouri became the first state to pass newborn screening for SMA, signing it into law on July 11, 2017, about seven months after the FDA approved Spinraza. Illinois has been criticized in the past for not moving quickly enough to test newborns for a genetic disease. It is possible for the Illinois Department of Public Health to institute the testing more quickly if they can establish proper protocols and standards. A report from the National Genome Human Institute found that one in 6,000 to one in 10,000 people are affected by SMA. On average in the U.S., a baby is born each day with SMA, and an estimated 14 newborns are diagnosed with SMA in Illinois each year. Spinal muscular atrophy is currently the leading genetic cause of death for babies under two years old, as reported by the National Center for Biotechnology Information. The disease is caused by a mutation in the survival of motor neuron gene, SMN1. Our bodies have a secondary backup gene, SMN2, that creates some copies of the SMN protein, of which the SMN1 gene produces, but not enough to stop muscles from wasting away. In Illinois, the Senate bill was introduced on January 24, 2017. While Illinois legislators are trying to push for SMA to be added to the newborn screening list, the initiative, however, began over a year ago. The Senate bill was only approved in the House on May 17. 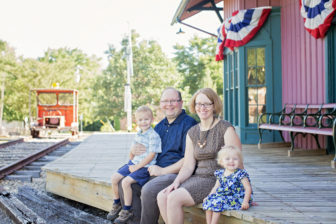 John and Jill Zmaczynski with their four-year-old son and two-year-old daughter Sarah. Receiving a phone call confirming that your child has a progressive and potentially fatal neuromuscular disease can be shocking and depressing. That’s how the Zmaczynski family felt when their daughter, Sarah, was diagnosed. Sarah could have received life-changing medication days after birth, but because doctors did not screen for it, the disease progressed, devastating Sarah’s mother, Jill Zmaczynski. Spinraza (generically named nusinersen) is currently the only approved drug for SMA. Spinraza was reviewed and approved by the FDA in December 2016 in an unprecedentedly short amount of time, due to its success in clinical trials. The drug targets the SMN2 gene, and tricks it into making more full-length copies of the SMN protein, preventing the loss of motor neurons. Researchers hope Spinraza may be the answer to slowing or stopping further progression of the disease, and in some cases, even reversing lost function in younger patients. In a statement to the Senate Committee petitioning for newborn screening of SMA, Zmaczynski described how her daughter slowly started to show concerning signs around 6 months of age. What started as little things like occasionally falling over, became more significant, like losing the ability to crawl or even holding her head up. Zmaczynski and her husband sought physical therapy for Sarah after their pediatrician dismissed the parents’ concerns. After Sarah showed no progress in physical therapy, the Zmaczynski’s met with a neurologist, who took a month to diagnose Sarah with SMA, when she was 18 months old. “Everything we imagined and hoped our lives would be kind of flew out the window,” Zmaczynski said. After the diagnosis, Sarah received her first injection of Spinraza two months later. And while she has regained some lost function, such as the ability to roll over and put her arms above her head, Zmaczynski has no doubt that the course of her daughter’s disease would’ve been significantly better if she had been diagnosed at birth. Families like the Zmaczynski family are hoping Illinois will move quickly. Illinois State Senator Julie Morrison said she chose to sponsor the bill after meeting with a young couple, much like the Zmaczynski’s, whose child was diagnosed with SMA after showing weakness. The couple wanted to help other families by adding SMA to the newborn screening list so children can get diagnosed as early as possible and start receiving Spinraza. Although Sarah was born during the clinical trials for Spinraza, prior to the FDA approval of the drug, her mother believes that if she was diagnosed at birth she could have participated in the trial, which would have prevented her from losing function. In fact, as described in the National Institute of Health study findings, the effects of Spinraza-dosed patients versus placebo in a double-blind clinical trial were so dramatic that researchers stopped the trial at the interim analysis in order to allow the placebo patients to also receive the drug. But even with an early diagnosis, the life-saving medication is sometimes still out of reach. The first year of treatment with Spinraza will cost a single patient $750,000, then $375,000 each year after that. Biogen, the distributor of Spinraza, has the medication priced so high that some insurances aren’t covering it. While the Zmaczynski family was able to get approved for Spinraza within two months, they recognize that other families are struggling to get their child the medication. 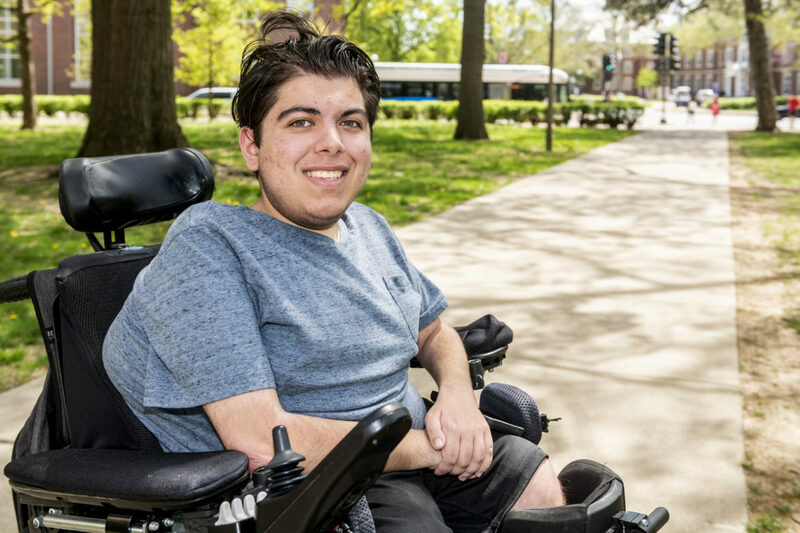 Nicky Piunti, a 19-year-old freshman at the University of Illinois at Urbana-Champaign, was diagnosed with SMA when he was six years old. Piunti and his twin brother Michael started showing signs of weakness at 18 months. Nicky, now an adult, just received his fifth dose of Spinraza. He says he went into starting the treatment with low expectations, just hoping it could potentially slow or stop further progression. “I’d heard about people recovering greater amounts, but I wasn’t thinking that’s for sure what’s going to happen to me,” he said. Piunti said the tremors in his hands have mostly gone away, and though it’s a small improvement, he said any reversing effects of the medication are beyond his expectations. Spinraza tends to be less effective in older populations due to the degree of progression that has already occurred, thus making the need to get diagnosed as early as possible even more paramount. Other states that have implemented newborn screening of SMA are using a test method already being performed for a disease called Severe Combined Immunodeficiency. Most states screen for SCID in newborns, including Illinois. In fact, Illinois’ method for screening for SCID could potentially be used to screen for SMA, as it is being done in other states. In fact, some states are absorbing the cost of adding the additional screening test for SMA. Getting approval to add a disease to the newborn screening list is not always a guarantee that testing will actually occur. For example, the Chicago Tribune reported that Illinois failed to test newborns for Krabbe disease for 10 years after it was written into law in 2007 to implement screening. The severe neurological disease can result in progressive muscle weakness, hearing and vision loss, intellectual regression, and seizures. And without treatment, the disease may lead to a painful death. The Tribune found that because of the state’s failure to screen for Krabbe in newborns, at least five children went undiagnosed. If the state had implemented the testing, newborns diagnosed with Krabbe could have received the stem cell transplant treatment that, if given within the first couple weeks of birth, can provide a better outcome for patients. After the story appeared in October 2017, the state started screening Illinois babies in two months. The Cure SMA national chapter is making a large push to standardize nationwide newborn screening for SMA. On February 8, the Advisory Committee on Heritable Disorders in Newborns and Children recommended the addition of SMA to the newborn screening list nationwide. This recommendation was sent to the National Health and Human Services Secretary Alex Azar for approval. Therefore a decision to approve or deny SMA for nationwide newborn screening will be reached no later than July 8, 2018. If the Secretary approves the Advisory Committee’s recommendations, all states will be forced to implement newborn screening tests for SMA. However, even if SMA is approved by Secretary Azar, implementation nationwide may still be years away. As for Illinois, if the governor approves the bill the implementation to start screening babies for SMA is still two years away. However, the state is required to start screening six months after various check list provisions are in order, despite the 2020 start date. For the Zmaczynski family, life revolves around celebrating the little things that Spinraza gives back to Sarah’s quality of life, and they hope that Sarah’s generation is the last to suffer the effects of SMA. “SMA reorganizes your life, but it doesn’t have to anymore,” Zmaczynski said. Aly May is a recent May 2018 graduate from the University of Illinois at Urbana-Champaign with a Bachelor of Science in Journalism. Aly was diagnosed with SMA at 16 months and has received 4 doses of Spinraza.